The photograph of the Heinkel He 112 V5 which accompanied Harold Thiele’s letter concerning He 112 prototypes used in the experimental rocket propulsion programme of the mid 'thirties. S.4 Postjager был попыткой создать скоростной почтовый самолет. Была построена только одна машина, потерпевшая аварию во время гонок на приз Макробертсона. 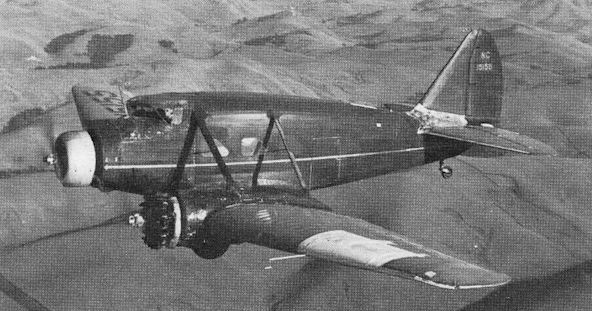 The Pander S.IV Postjager alias Panderjager was originally designed as a long-range mailplane for use by KLM and participated in the 1934 London-Melbourne Race. 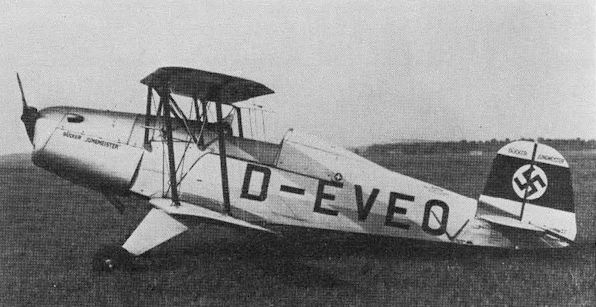 The first prototype of the Bucker Bu 133 Jungmeister powered by a Hirth HM 6 air-cooled engine. The first Miles M.20 in its original markings; it later carried the serial number AX834. The second Miles M.20 (M.20/4 DR616), built to Naval Specification N.1/41 with a modified undercarriage and catapult points under the centre section. One of the relatively small number of Stinson Model A 10-passenger transports built during 1936-7.